1. Cost - The first step in marketing is to discern how to best price the goods or services to be marketed. There are a myriad of factors to consider when designing a pricing structure for any industry. Find out what all of your major competitors are charging, and determine how your company can make a profit while offering the service or product at a better price/rate than the major competitors. 2. Creativity - It is common for marketers-even many seasoned ones-to create marketing plans based on "proven" models that have worked when previously used by others, rather than utilizing creative energy. Differentiate your product/service from the competition. While sticking to the fundamentals is important, creativity allows you to brand your company in innovative ways. Find a new way to sell an old concept. This will create distance between your company and the competition. 3. Captivate - The attention span of consumers today is short, and appears to be getting shorter-with the increase of cyberspace shopping. You have an approximately 3-5 second time window to catch the attention of the reader/viewer of your promotional campaign. You must captivate your audience immediately with your campaign. Your marketing materials must stand out in a fashion that cannot be ignored or overlooked. 4. Connect - You must try to build an immediate rapport with your potential patrons. Make an instant connection with your clientele base by using the pain/pleasure scale. In most cases consumers are purchasing a product/service because they are running towards something that will give them pleasure, or they are purchasing something that will ease pain or correct a situation that is not in order. Once you establish which side of the scale your product/service offering fits on, you will be able to determine how to best connect with your target demographic. 5. Clarify - Clarity is necessary when marketing any product/service. You must always be cognizant of any laws relating to your brand or consult with your attorney before promoting a product in an industry monitored by professional licensing. Typically, if you are in an industry that would require "fine print" you will surely want to cover your legal bases before structuring your company's marketing plan. 6. Convince - If you are going to persuade the customer to purchase from your company, you will have to be convincing. You have to appeal to the prospects better judgment and common sense. People are always looking for honest people with clean and proven track records. Let your credibility shine by pointing out years of experience, or accolades that your company or management team has within the portfolio. 7. Close - Closing the deal is the most important part of any promotion. 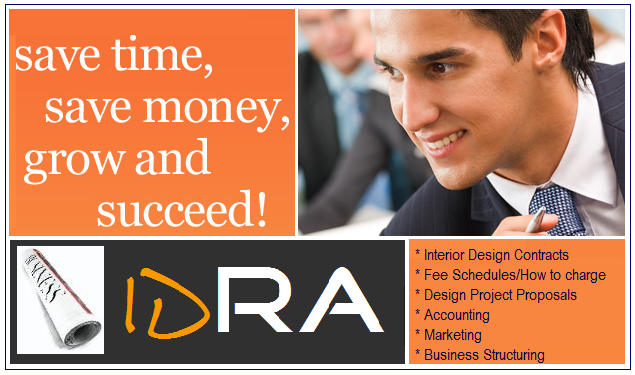 After you have presented the offer, and covered all of your bases, it is necessary to finalize the sale. You have to seal the commitment with a proper call to action. Let your prospect know how to make an immediate purchase, and urge them to take immediate action to do so. Include all necessary contact/location information in the promotional materials. The good thing about press releases is that it is much cheaper than cooking a huge ad campaign and the results if successful is even better than the result of an ad campaign that required an enormous amount of money. Now press releases are actually different from a resume, an advertisement or a sales document. It is actually an article written with a journalist's touch that aims to highlight the interesting and newsworthy element of your company, product or event. In making press releases you need to consider that you are having two target audiences whenever you write one. You need to think of the journalists who will first assess your press release and the audience who will read it after the journalist found it newsworthy and had it published. Since you still need first pass through a ruthless and intensive judgment of a journalist, you need to make sure that your press release will be able to convince the journalist that your press release is newsworthy to be published. Now these people are really busy and they really get tons of press releases each day. One thing that you really need to work on is how to make your press release unique and different from any other press releases that they get each day. It must be able to catch their attention just by the first look. And you also have to keep in mind that since journalists are super busy people, a long and flowery press release won't appeal them. So make your press release brief and concise. In order for you to have this achieved, I have prepared some tips that will be very helpful when you make one. You need to first put on your release date. This will let your journalist when to report your affair. Contact information should follow the release date. It should include your name and number and other contact details. A very informative, comprehensive and yet catchy headline must be punched in after your contact information. This should be catchy enough without too many words such as adjectives and adverbs. It must be able to answer at least three of the Wh and H questions. The introduction is next and this opening paragraph must be similar to the dateline of a news article. You have to maintain the simplicity and the newsworthiness even in this part of your press release. This should be able to provide the basic information about the event being discussed in your press release. The body of your press release must expand the information discussed in your introduction. This is where you put your supporting facts and issues that may be of help if your press release gets published. A line or two about your company and its mission shall complete the last part of your press release which happens to be the company profile. It is sometimes referred to as the boilerplate. Then you can just put the word END at the bottom of your press release as an indicator that your article is finished. It will also be helpful if you will put a more detailed and expanded contact information at the very bottom of your paper. Adding your company logo will also help your press release to get the authentic and official look. Ready to really learn press release format? Paul Hartunians free publicity information center will teach you and many other aspects of publicity. Visit http://www.7dollartrial.com now to get powerful profit-producing publicity tips! A fundraising event is not only a wonderful way to boost the morale of your employees and encourage community involvement in your business, but you can also help out a charitable organization in your town. There are many different fundraisers you can take part in, and many resources you can use to benefit both your company and the charity. Your choices are almost endless when it comes to finding the right fundraiser for your business. Here are just a few, though, that may benefit your company the most. Walk-a-thon- Want to inspire teamwork, competition, and loyalty in your employees and community? Walking is something most individuals can do easily, and it is a healthy and relaxing way to promote a charity. To encourage unity and promote your marketing strategy, use t-shirt printing to create themed t-shirts for participants, spectators, and sponsors of the fundraiser. Make the event fun for competitors by creating a theme, such as night time walk-a-thon or an egg and spoon race. Also, to allow individuals at any age and ability to participate in the walk-a-thon, ask sponsors to done a set amount of money, rather than a certain amount per mile. Golf Fundraisers- If you are interested in raising a substantial amount of cash, consider a golf fundraiser. Many top executives and community business members already play golf on a weekly basis, so enticing them with a golf fundraiser is relatively simple. Simply find a location willing to host the event, determine the finite details of the fundraiser, and gain sponsors for each hole. Online Fundraisers- Online fundraisers are a one-of-a-kind option that can greatly increase the audience you reach and the amount of money you raise for your charity. Once you decide on your charity, create an online website where individuals can submit donations and purchase your company's products. Be sure to use t-shirt printing and other marketing tools to create t-shirts, coffee mugs, tote bags, and lanyards on the website. Then, take to social media to spread the word about your online event. Recycling Fundraiser- In a world that is always thinking of creating a better environment, there is no better choice than a recycling fundraiser. Hold collection drives for bottles, cans, ink cartridges, cell phones, or even shopping bags. Allow participants plenty of times and locations for dropping off their items, and consider offering a small token of thanks to those who take part in the collection. Food Drive- Showing pride in your community is an essential part of creating the image you want for your business. Consider holding a food drive for your local shelter or church. Encourage your customers and employees to bring in any type of food item, from meats to non-perishable food. You can also allow donations of clothing, coats, winter accessories, and even cash to help those who are suffering and doing without in your local area. Fundraising can have many benefits for your company. It can demonstrate pride in your local community, encourage teamwork among your employees, and reach out to those in your town. Make sure to use all of the resources available to you, such as t-shirt printing and social media, and begin working with a charity today. Using t-shirt printing for business marketing is a smart and long lasting choice. Just think, besides having walking billboards, you're t-shirts will also end up in photos, videos and on numerous social media channels. The exposure that's possible from just a few hundred t-shirts is phenomenal. When you're ready to use t-shirts for your next promotion or event, be sure to check out the largest and most affordable selection, with Trendee promotional materials. Soft skills are your behavioral skills. If you're not familiar with this term, maybe you've heard about 'interpersonal skills', or even 'people skills'. Talking about everything related to soft skills is beyond the scope of this article. So let's just talk about the top 3 soft skills for every professional. The main feature of communication skills is to be able to convey your message successfully. Whether you're negotiating a deal with your clients, speaking to your boss about a possible raise or promotion, or even talking to your team member about a project, you need to be able to make the other person(s) understand what you're trying to say. Most times, highly-qualified professionals stop short from climbing up the success ladder because they're unable to convey their message effectively. Hence you can understand how important communication is as part of your soft skills. Whether small business, or huge cooperation, team work is the key. No successful professional can boast about being a lone ranger, and still climb up the corporate ladder of success. There has to be team, and there has to be team building, or team spirit among the members of the team to successful complete a project. As a team member, you need to be willing to work with others together on a project, and be able to handle criticism about you, or your work, and not let it affect your work. After all, that's the team spirit - looking at the big picture, and overcoming the small hassles like politics, arguments, etc. Do you know what not to say when you're working with a team member of the opposite gender? Yes, your manners won't allow you to spew off inappropriate jokes in front of team members of the opposite gender. But what if that team member is also your friend? Does that give you the right to be yourself, even at work? And no, it's never appropriate to make inappropriate jokes at work, no matter how social you are with your team members after work. You never know who might get upset with such behavior, and you end up risking your job. Remember, these are just a few of the top soft skills for every professional. If you answer 'yes' to all three soft skills mentioned above, it doesn't mean you're done for the day. There are many more soft skills you need to master for success at your workplace. From Ankitaa G. Dalmia: To understand how you can succeed more at work with soft skills, try our free soft skills consultation. Visit my website at http://www.anksimage.com to get started for more success at your workplace. One of the issues that I am hearing about over and over again is that people are struggling to get clients. Even people who have been in business for a while! They love and are passionate about what they do, but they can't seem to get the right people interested. The result is that they are not generating enough income with their business to sustain themselves, their family or their lifestyle. Late at night, the worries about the bills, upcoming expenses and wondering how to make it all work are keeping them awake. Then, when they are finally able to fall asleep, they are plagued with sweat-soaked nightmares about all of the above. With each passing day, the feeling of desperation to get clients - any clients - so that they can generate in-come gets stronger. While there are many advantages to being an entrepreneur, client attraction struggle is not one of them. The good news is that this is an easily fixable problem! Once you know what you need to do, you can implement the steps to acquire, and keep, a steady flow of clients. Are you interested? Great, let's get started! 1 - Get really clear on your niche. It needs to address not only who you work with, but what problem they are struggling with and the solution that they are looking for. (Hint - YOU are the provider of that solution.) The problem must be so troublesome on a daily basis that they know they can no longer live with it and are willing to pay to have it solved. But simply having a niche is not enough. You need to be so clear and concise with your description of your niche that anyone who hears it knows that either they need to work with you, or they know who they can refer to you. Leave no guesswork for potential clients or referral sources. 2 - Create a clear path to results. When you reflect on past clients, consider all the tangible results they achieved when they worked with you. Go deep and take your time with this. As you consider those results, notice the pattern that starts to emerge. When resolving their problem, what are the steps that you take a client through to get those results? When you put those steps together properly, you can craft your "Signature System". Clients are intrigued and feel more assured that you know how to solve their problem - after all, you have a system! 3 - Craft your compelling marketing message. Use the language your niche would use and be sure to address what concerns them. Let them know you understand what their problems are and how to get rid of them once and for all. Use your marketing as an opportunity to educate your niche. It showcases your knowledge to position you as an expert and allows your clients to imagine how much more they will get when they actually work with you. Now get out there and talk to the people in your niche. Hang out where they go, be curious about them and really listen to what they want and need. Invite people who fit your criteria in for a discovery session, at no charge, and make them an offer if you have something that will truly benefit them. Or, refer them to someone that may be able to help. You might not get a sale, but that person will remember what you did for them. Be in service and come from a kind, loving place. People know when they are being genuinely helped and when they are simply being sold to. Lisa Fraser is a Marketing and Money Mindset Business Coach and the founder of Lisa J Fraser Business Coaching - "Breaking Through the Glass Ceiling on Your Consulting or Coaching Business Income". Lisa specializes in helping coaches and consultants who are struggling to get their message seen and heard so they can attract ideal clients and generate a great income with their business. How do you best promote yourself, your business or your cause using publicity? The list could easily be 100 items long. But 14 items stand out that can make yours a winning publicity campaign. If you follow these 14 tips, you tremendously increase your chances of getting publicity. Even better, all 14 tips are easy to put into action. 1. Establish a Consistent Look - A great way to get your release pulled and looked at first, is if the editor becomes familiar with your name and the look and quality of your previous stories. 2. Submit Anything To Start Off With - Get your name on file. Whether or not they run your first story isn't important, you just want to have a "previous story" on file the next time something important in your field comes up. 3. Keep On Submitting - Always be on the lookout for good stories. Editors need to see your name popping up regularly, not just once or twice a year. 4. Watch The News - Become "The Authority" on your subject. Watch what's happening around the world. Send out timely press releases connecting your story to local, national or world news. Be ready when editors call wanting to know about something that broke the news this morning. 5. Keep Up On The Trades - Understanding the trends and aims of your profession is essential to your being able to speak knowledgeably when called on short notice. 6. Piggyback Your Cause - Find community events where you can offer your services. If media personalities know you can deliver a good interview, they'll be very interested in talking to you. 7. Be A Character - Don't be afraid to get out of yourself. Study successful talk show hosts. Watch how they work topics, how they keep your attention. Become a fun, knowledgeable person to interview. Your character is as important to an interviewer as your story is. You don't have to be outrageous (although that can be a real plus), just an enjoyable, knowledgeable expert in your field. 8. Network In All The Right Places - Go to the gala balls, the fund raising banquets, the Lions Club or Country Club events. Anywhere the press might be looking, be sure they see you hanging out. Make a point of striking up a conversation as often as comfortably possible. 9. Remember Names - Everybody loves to hear their name. Especially reporters. Carry a small spiral notebook and write down names and details on every media person you meet. It helps immensely in remembering who they are the next time you run across them around town. 10. Be 100% Reliable - Reporters become incredibly frustrated when someone cancels or postpones an interview ' or worse, don't show for the interview. Establish a rock solid reputation for being a reliable interview. Also become known as a person who can be available on short notice for an interview. Reporters will love you for that. 11. Be A Source Of Referrals - Many times the reporter interviewing you will ask for the names of two or three other people in your field they can interview. Don't be afraid to give them the names. There are three solid reasons for this. First, the people you refer to them will be very grateful to you for the opportunity. Second, the reporter will be grateful and will look on you as a great source of information. And third, very frankly, the people you refer to the reporter will almost certainly not know how to either do a good interview or how to turn that interview into additional business. It's very unlikely these other people and their interviews will be a threat to your business. 12. Follow Up On Stories - ALWAYS send thank you notes for any interview or story a paper or station runs. With a little imagination you can often parlay this "after the fact" moment into more coverage. One singer more than doubled her coverage by sending flowers to a PBS television station after her interview thanking them for the time and wishing them a successful fund drive (which just happened to be in progress). Her flowers and note kept showing up all day, along with clips from her interview. 13. Stay In Charge Of The Interview - Don't let interviewers take off on their own paths. Remember always, you are the authority on this topic and a bad interview will ultimately reflect only on you. If an interviewer is trying to dig in areas the general public will find boring, be courteous, answer the questions quickly, and then point the conversation where it should be headed, towards the more fascinating and lively topics. A good Q&A, following my system, will almost guarantee that you stay in control of the interview from beginning to end. 14. Finally, Don't Be Afraid To Create News - Write a book, do a survey, author a research project, anything that'll take yours out of the "boring profession" category. Always look for the angles you know will fascinate the general public and become the authority in those areas. My favorite saying concerning the media is: "Media people are very willing to make you as famous and wealthy as you'd like if you just give them a good story." There are tens of thousands of media people waiting for your good stories. Give them what they want and they'll reward you very handsomely. Just recently, I was having a conversation with my friend, renowned architect, interior designer and furniture designer, Ricardo Ramos of Studio Ramos about his document management process. I was completely inspired by the fact that Ricardo runs a paperless office. Every document, photo and file that he has is digital. While I'm known for my God-given gift for being well organized and keeping a spotless space, I am far from paperless. I've seen An Inconvenient Truth and even have a copy of Al Gore's 2007 Nobel Prize winning lecture beautifully framed in my livingroom. I actively promote environmental conservation in my home and office and try to have as little negative impact on the planet as possible. However, I must admit that I keep stuff…. The abundance of magazines and inspiration files are neatly filed, labeled and tucked away- and I'll recycle them when I'm done- but Ricardo has inspired me to pursue a better method of document management. If you're looking to cut down on your paper piles, you'll find this article timely. If you decide to go digital, you'll save yourself some precious time, real estate and the planet in the process. Read on as Reagan Goodson tells us how to plan for the digital conversion. In today’s fast-paced business world, more and more businesses are deciding to become paperless. ‘Becoming Paperless’ is basically the process of taking all of a company’s paper records and converting them into digital images, retrievable through the company’s network of computers and workstations. 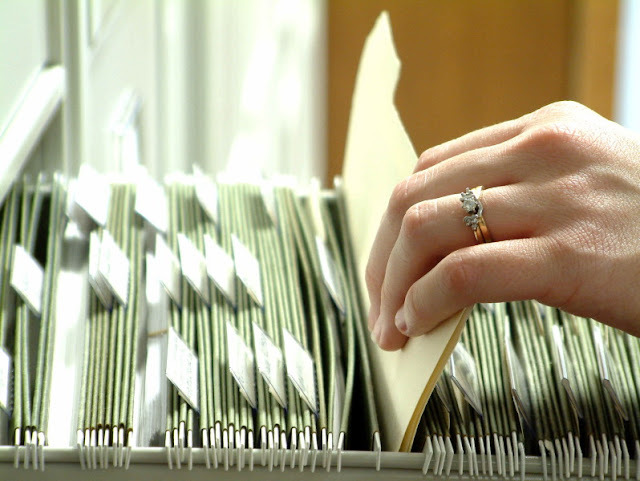 This allows the business to access the paper records in a fraction of the time it would take them to retrieve a paper file and prevents the employees from having to re-file the documents that they retrieve. The efficiencies gained from a paperless office are tremendous. These efficiencies allow the company to increase its processing speed, reduce is storage space, and improve security over its important business documents. It also allows the company to easily backup all of its records in case of a disaster or theft of those files. The initial investment for the business that is becoming paperless is usually in an Electronic Document Management System (EDMS). This EDMS is the tool that the business uses to scan and manage all of its electronic files. It provides the interface for the employees to retrieve the files and provides the security to prevent unauthorized personnel from accessing these files. Before a business can become paperless, it is important that they do some important upfront planning in order to reduce critical mistakes made in the future. The first thing that needs to be looked at is the types and amount of files that will be stored within the Electronic Document Management System. For example, will this system need to store only scanned documents, or will it also need to store working documents, such as Microsoft Word and Microsoft Excel documents. Some systems only store scanned images, so if you need this flexibility, be sure to ask that question. Also, some EDMS’s will store the images directly on the individual employee’s desktop computer. This is fine if you are storing a small amount of files and it is not necessary to share the files between multiple employees. It is usually a better idea, however, to purchase a system that stores all of the files in a central repository, so that all users are able to access the files. These systems will also provide permission-based security, so it is easy to specify exactly who can access specific files. The most important part of becoming paperless however is the getting the files into the system. This is generally a time-consuming process, and can also be a costly one. You should decide upfront which files should be stored in the system. At first, you would probably be inclined to want to include all of your files in the system. 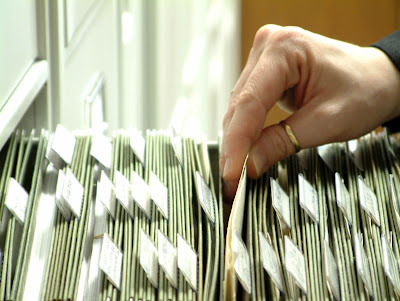 It is usually more feasible, however, to just include the documents that will likely be retrieved often. This will allow you to keep your upfront costs down, and when your company has become familiar and comfortable with the system, then you can usually justify putting all of your files in the system. Reagan Goodson is a Certified Document Imaging Architect and the president and founder of Imagine Document Solutions, a company that specializes in helping organizations of all sizes become paperless. Product knowledge is important in selling your designs. Understanding how to uncover your prospect’s needs and then determining which product will best address those needs is critical. But as we’ve heard before, people buy from people they like. People buy Benefits, not Features … and they’re more likely to believe in the benefits you offer when they like you, trust you, and can relate to you. A key to effective communications is understanding and applying your knowledge of the four social styles – Analytical, Commander, Expressive, & Stabilizer (A.C.E.S.). In this article we’ll touch on each of the four styles, how they think and act, how to read your prospects to spot their style(s), and what to do once you know who you’re talking to. The Four Faces of A.C.E.S. Analytical are just that – very analytical. They seek perfection. They’re organized, detail-minded, and somewhat idealistic. Analytical tend to be perfectionists. They are good planners and schedulers, and can be creative and somewhat musical. Analyticals are sensitive, intellectual and tend to be conservative. Their weaknesses show up in a number of ways. Analyticals can become easily depressed. They often are moody and sarcastic. Because of their idealistic, perfectionist tendencies, they often are hard to please and can be fussy. Analyticals can be suspicious, skeptical, unpopular and unsociable. Commanders are natural leaders. They seek control. They are high achievers, can be bold and assertive, and are often very competitive. They’re driven and goal-oriented, resourceful, strong-willed, and tenacious. Commanders are independent, perceptive, outspoken, and productive. Their flip side, or weaknesses, can show up as being overly controlling and bossy. They can be egocentric, headstrong, and short-tempered. Sometimes Commanders are insensitive, intolerant, and/or tactless. Many of them are workaholics. Expressives are people. They seek fun. They’re animated, cheerful, and enthusiastic. Expressives mix easily, are spontaneous, and often are playful. You’ll frequently see Expressives as popular and sociable. As fun as they are to be around, Expressives have their share of weaknesses, too. They can be loud and overly talkative, and when they explain things may often exaggerate and/or generalize. They can be messy, undisciplined and unfocused. Sometimes they’re alarmists and impulsive in their decisions and actions. Stabilizers are relationship builders. They seek peace. You’ll often see then as accommodating, considerate and easy-going. Stabilizers are great listeners, patient, and soft-spoken. They have strengths as mediators, counselors and can be diplomatic. Even though they’re excellent at keeping the boat from rocking, they, too, have weaknesses. Stabilizers avoid conflict, sometimes at any cost. They can be too compromising, indifferent, and timid. Sometimes Stabilizers will be uninvolved, noncommittal, and emotionless. They aren’t goal-oriented, so they are often weak at goal setting, can be aimless, and un-ambitious. How can you use the knowledge to improve your ability to build rapport and close more sales? Remember not to follow the Golden Rule! (Do unto others, as you would have them do unto you.) Instead of communicating in the style you’re most comfortable in, work on communicating in the style they’re most comfortable in. With Analyticals, use facts and figures. Details matter. They’re the ones that, when they say, "Let me think about it," they really mean it! Don’t go too fast, be too pushy, be inaccurate, or be too light-hearted. With Commanders, get to the bottom line. Don’t burden them with the details (yet), just have them ready if asked for. Don’t let your presentation ramble – stay on track and make your point. They don’t want their time wasted. With Expressive, details make them glassy eyed. Keep your presentation light, colorful, and somewhat entertaining. They’ll buy because they had a good time with you, rather than on the logic. With Stabilizers, relationships rule. If you get right into your business, they won’t connect with you. They want to connect with you. They want to have you understand them and they want to understand you. Don’t rush them, and "work together", to solve a problem. If you truly want to have a thriving book of business, you need to understand people and have them connect with you. 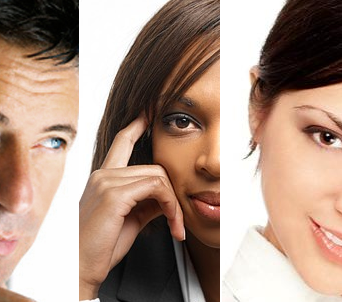 Study the traits of the four social styles (Analytical, Commander, Expressive, Stabilizer). Practice picking up clues from prospect’s clothing, body language, surroundings, and speech. Then, make a conscious effort to modify what you say and how you say it to match your prospect’s social style(s). You’ll connect more easily and comfortably, and you’ll see your closing ratios climb! For establishing your credit worthiness with creditors you need to build corporate credit. By doing this, not only does your business grow faster, but also your credibility goes up significantly. When you are a serious business person and have a strong corporate credit, chances are that loan requests will be approved, which, if not approved, could compel you to withdraw money from your personal pool. So before you apply for a loan or a lease, build your corporate credit and create your credit reputation. If your company is a Corporation or a LLC, getting significant credit is always possible. A business credit assessment goes a long way in proving the genuine nature of your business. Getting an IRS approval by means of a Federal Tax ID is recommended to create a separation between your corporate and personal activities and credit. Apply for and acquire all permits and licenses that are required by paying the required fee to the sate or city governments. Have a business address, relevant mail address, and website and telephone lines to establish your presence. Ask for an audit to ensure that you meet all the necessary stipulations for running a business. Creating an online presence through web and advertisements also go a long way in establishing strong corporate presence. 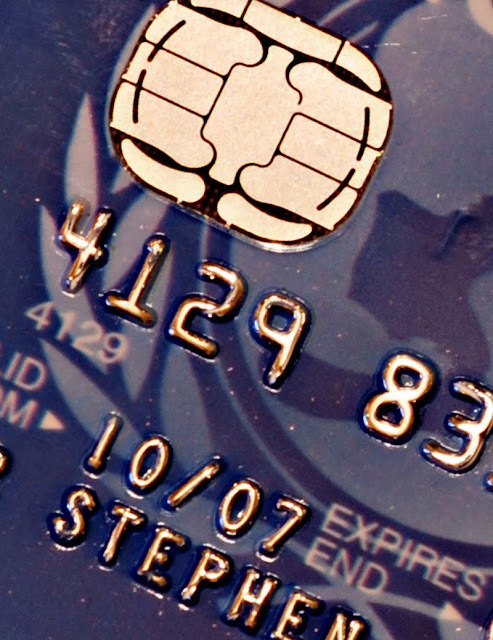 It is a good idea to approach small business credit providers. However, ascertain the rates and fees before you accept credit from them. Later on, corporate houses will use this important history that you build with other creditors. Thus, if you want to build corporate credit, you need to pay back the creditors on time. When you establish a good payment history for a period of six months, you can expect to get bigger loans and credit. Make a liaison with at least six such companies that will report on-time payments on your behalf. Establish an accounting system for paying back these companies so that the records add to your credibility. When you build corporate credit on a lower scale, you are eligible for larger credits now. Increase the credit amount as you expand your business. Repeat the earlier terms for these companies too and pay all bills on time. Now is the time for you to move up to higher credits and even unsecured business credit from banks and other commercial lenders. You can expect a personal credit check from these lenders and even a guarantee from you ascertaining payment. When you create business credibility remember to start from the bottom and rise up to the top. Creating a good credibility will ensure loans from higher bodies. It would help to have a corporation which has a strong sales and a good future growth. A business plan explaining the purpose of loan, the company requirements, the amount of money used and strategies for loan repayment will build business credit immensely. Professional help that guides you through the steps to build corporate credit are available and benefit your business credit greatly. Sherry Gain is an advocate for entrepreneurs and small business owners alike. She freely shares her knowledge and experience and with her guidance your small business will be empowered to succeed. Find out more by visiting BusinessSmallBusinessCredit.com. If you are a small businesses owner and looking to optimize your operations, this list of do's and don'ts on bookkeeping will help you save valuable time and money. Most small business owners and start-ups make this common mistake of maintaining the books of accounts all by themselves. Unless their core expertise is accounting, most entrepreneurs procrastinate this task and end up with a huge backlog at the end of each month. The motive to do it yourself may rightly be to have control over the way finances are managed and to avoid misappropriation, but remember, all these come at the expense of deviating your focus from core revenue generating business activities and losing valuable time, (it is estimated that average businesses spend around 20% of their time on bookkeeping). So, why lose out when you have better options like hiring a dedicated bookkeeper, automating, or outsourcing it. Most small businesses get into this habit of not categorizing incomes and expenditures and end-up maintaining just one book for journal entries. This will lead to lack of clarity as to which business activity is turning out to be an overhead. For instance, if you are maintaining a separate ledger for bills receivable and you are regularly fighting bad debts then it shows inefficiency in your collection process. Many petty expenses goes unnoticed or unrecorded, as we believe it makes no impact or the IRS is not bothered. These petty expenses over a period in time will pile up and create a big hole when you balance your accounts, these receipts if maintained may prove to be crucial while paying your taxes. Start-ups and even small businesses feed all their entries in an Excel workbook as it makes things easier and avoids paper. But remember as your business grows so will this Excel sheet until it becomes an unmanageable monster. Miss this practice to find glaring differences when you finally tally your cash and bank books. This practice has to be followed every month or at least every quarter to avoid discrepancies that may prove fatal. Use web based accounting applications that take care of your data backup. Not only can you access the system from anywhere, but also the system automatically takes care of data backup. One vital role of bookkeeping is to track our business growth, but we seldom look at it that way. Bookkeeping should finally help us track our set financial objectives and correct us if we are going off-track. This is where financial reports come in handy. This needs no introduction; most widely used accounting software QuickBooks is so efficient and reliable that it outsmarts a professional bookkeeper on all counts. It saves your time, money, generates all the financial reports needed for tracking your growth, and also comes with a plethora of features like, easy payroll system, imports your Excel reports, seamlessly integrates with your Microsoft Outlook, customer credit card protection, EDI, supports Linux and much more. Phew...that's a lot of stuff. This is where the buzz is around; no one needs to be educated on the unavoidable benefits of outsourcing. Remember most small business owners are not professional bookkeepers and trying to be one is just wasting time, money, and resources. Outsourcing makes it easier, strictly professional and above all gives you the luxury of focusing on your core business activities. It is always wiser to rely on expert bookkeepers rather than being unprofessional with bookkeeping. 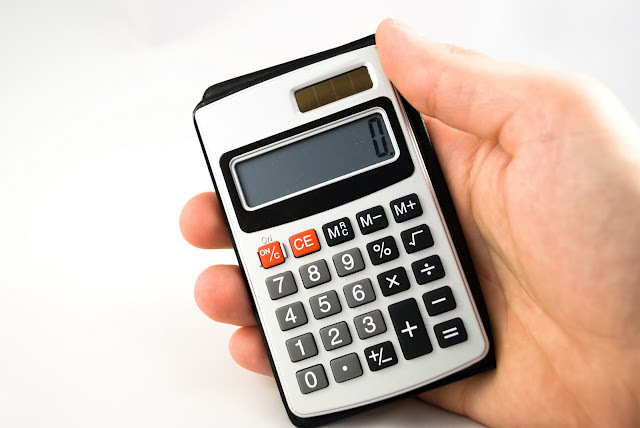 You can outsource as little as an hour of bookkeeping work per day. About the Author: A passionate Entrepreneur with a strong belief on Disruptive Technologies and Innovation. As the co-founder of MyBuisnessAssistant, I provide the strategic vision for the company. Prior to starting MyBusinessAssistant, worked for about nine years in business application integration using SAP. I have successfully led teams of IT and business professionals on various projects.We are a full service Virtual Business Assistance company for small and growing business. We provide a on-demand support platform (known as a Virtual Business Center), where you can pick and choose essential business services as per their business demand.